The Halloween time is over and it has been a while since we’ve Spotted Dax, so this week we are talking Invasive Procedures. This week unfortunately Holly was not able to join us but she emailed us audio of her thoughts for this episode. 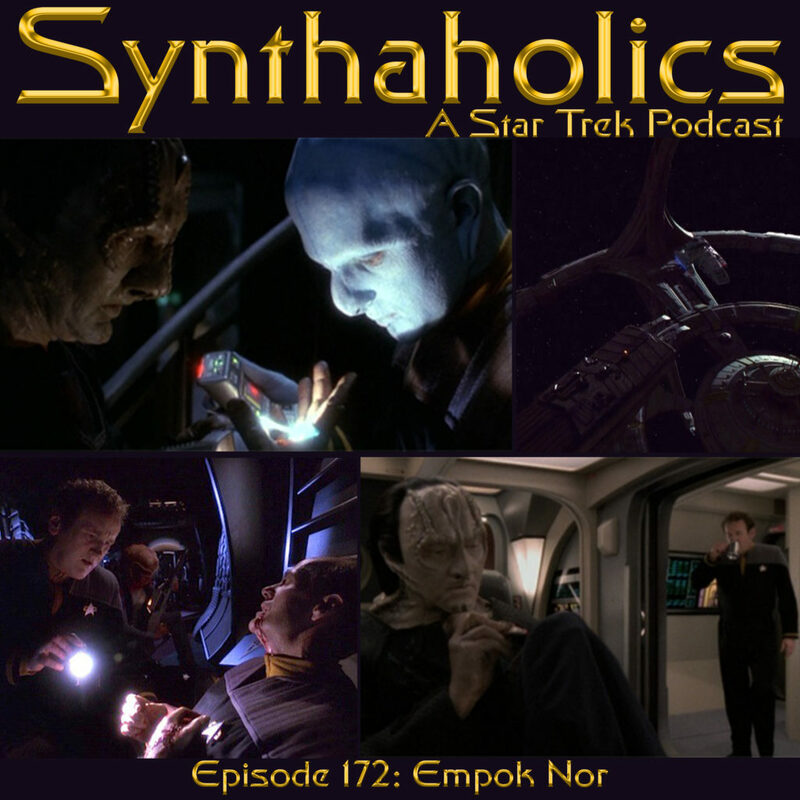 This week there wasn’t really anything too newsworthy thought we do discuss our plans for Episode 200 toward the end of the show. So please tune in for that we are wanting listener participation to make episode 200 something very special! 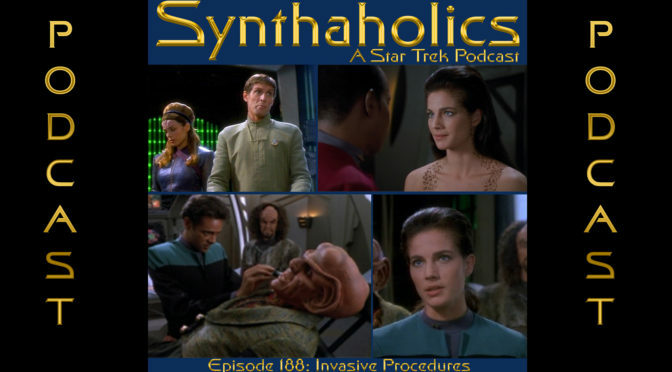 The second time Deep Space Nine gives Dax her own episode it is again somewhat underwhelming as it doesn’t get to really show what the character is capable of. We will continue to look forward to when Dax comes into her own. Pour yourself a drink it’s time to be rejoined in your weekly shot of Star Trek! Who’s a character we haven’t really spent a ton of time talking about? Well that would be Jadzia Dax! 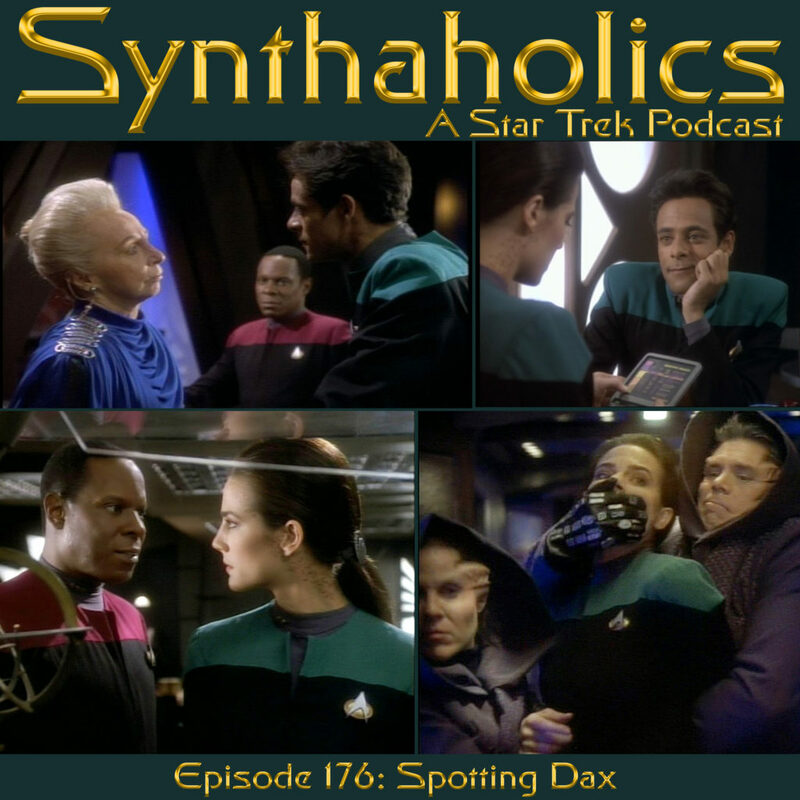 We feel like this character was underutilized and so our doing our first Spotting Dax Episode. 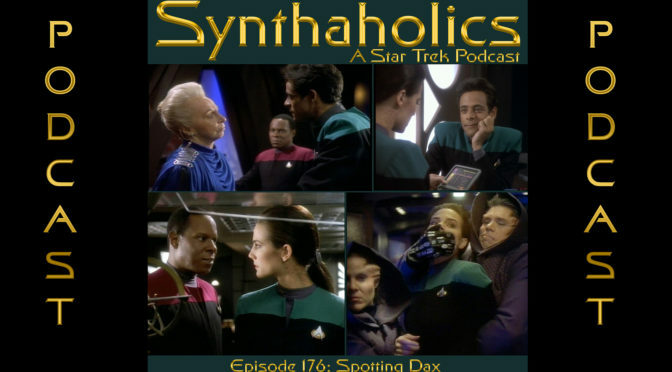 This week we look briefly at the Star Trek Deep Space Nine pilot Emissary before jumping into the first Dax centric episode called…. you guessed Dax. 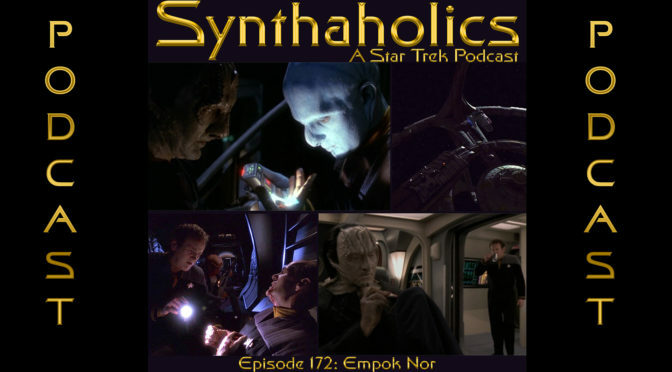 Not really any news to talk this week but we do discuss what it may be like to live on in another body humanoid or otherwise! I hope you have some slug symbiont juice nearby, it’s time for your weekly shot of Star Trek. 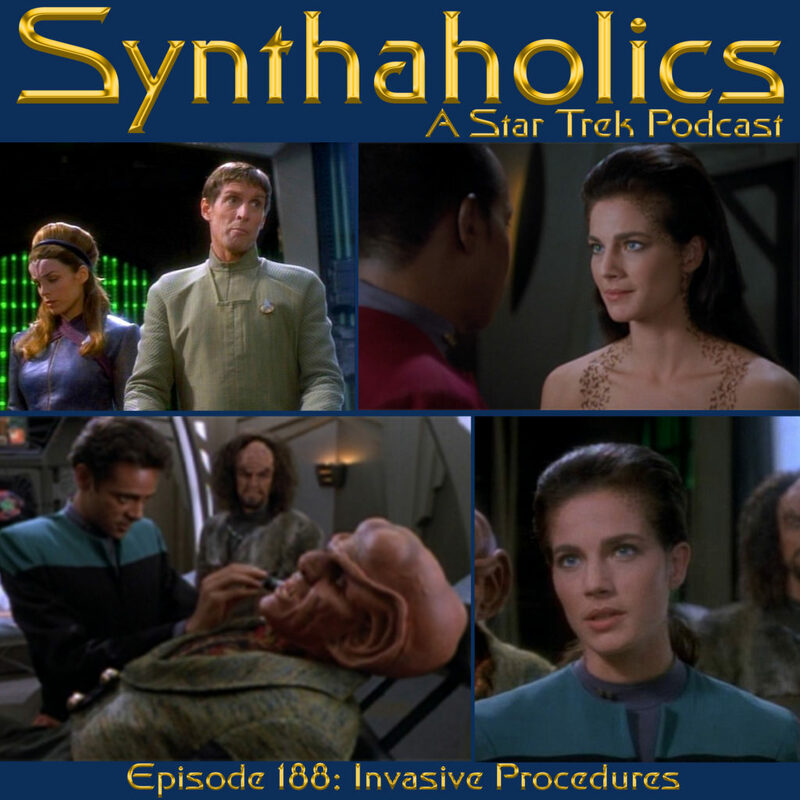 Aaron and David welcome our friends Dutchess and Kirk to discuss the Star Trek Deep Space Nine episode Empok Nor. We met Dutchess and Kirk at the Nickel City Con back in May and discovered Star Trek was a common interest. The Star Trek news we discuss this week is that Patrick Stuart is in talks to voice Picard in an animated Star Trek tv show. At hearing this news David has a change of heart about the possibilities of a potential new animated series. You can find Dutchess online on Patreon, Facebook, and Twitter! 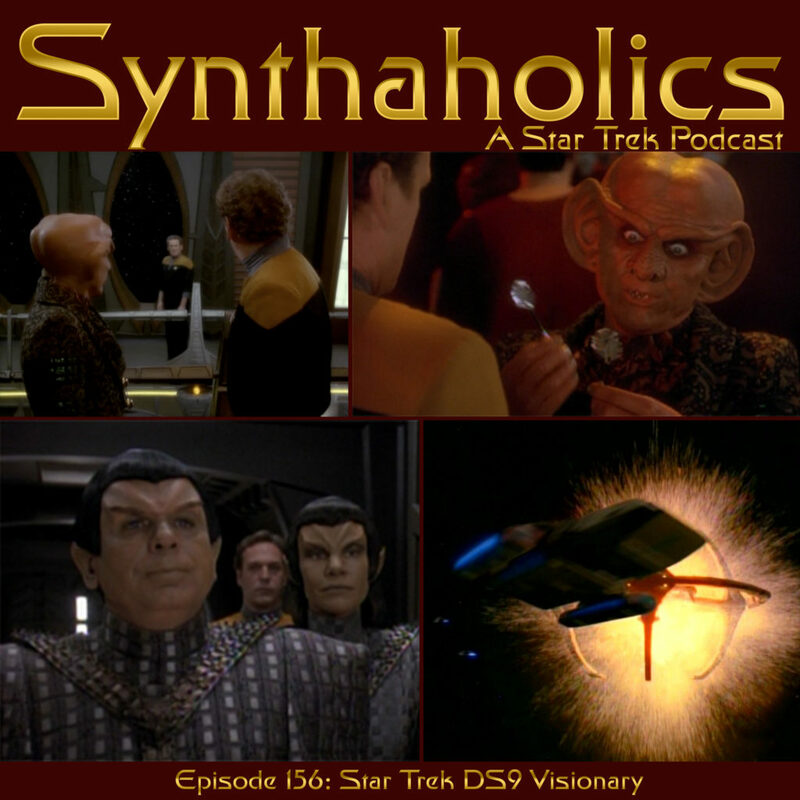 This week on Synthaholics we discuss the Star Trek DS9 Visionary! Visionary is a third season episode that features yet again the suffering of one Chief O’Brien. 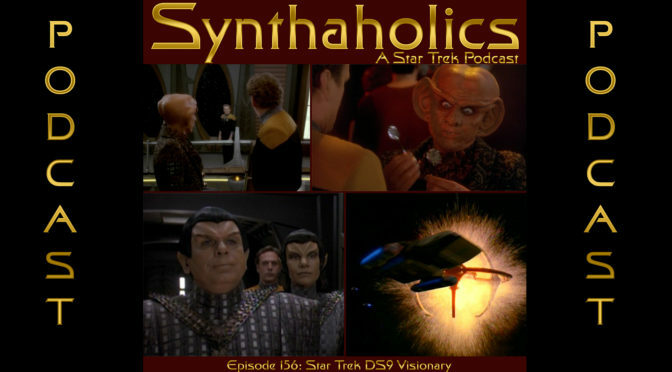 Aaron and David have a great time getting into this Deep Space Nine episode that we both haven’t seen in quite a while. We love how everyone is so cool with the random time travel that happens. The O’Brien’s suffering is turned up a notch this episode as he dies 3 times! We hope you enjoy this fantastic blast from the past with us. Pick up yourself some Romulan ale or watch my recipe on YouTube to make your very own. It’s time for your weekly shot of Star Trek! If you would like to donate to the show to help keep us running!